(AFP) German prosecutors brought charges Monday against a 94-year-old former Auschwitz guard, accusing him of abetting murder in the latest 11th-hour attempt to use the criminal justice system to address the Holocaust. The public prosecutor’s office in Stuttgart said it had filed charges of accessory to murder with the regional court in nearby Mannheim against the unnamed suspect, a German citizen born in Ruma in today’s Serbia. The then 19-year-old began his training as a guard at the Auschwitz death camp in Nazi-occupied Poland in October 1942 and worked from December 1942 until January 1943 “supporting camp operations and thus acts of extermination,” prosecutors said. “In this time, at least 15 rail transports arrived at the Auschwitz concentration camp after which people were immediately ‘selected’ based on their ability to work,” they said. The suspect said through his defense attorney that he was “not aware of the background, intent or procedures behind the killing” at Auschwitz. The court in Mannheim must now decide if the case should go to trial. If so, the suspect will be tried before a juvenile court because he was a teenager at the time of his alleged crimes. 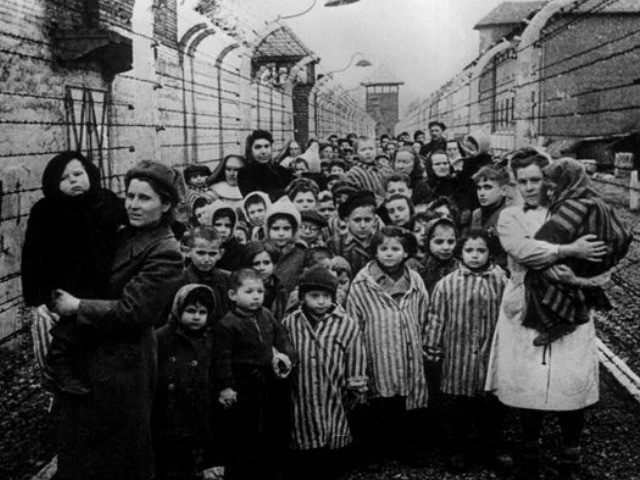 More than one million people, mostly European Jews, perished at Auschwitz-Birkenau, operated by the Nazis from 1940 until it was liberated by Russian forces on January 27, 1945. The renewed German drive to bring to justice the last surviving perpetrators of the Holocaust follows a 2011 landmark court ruling. Three cases against former Auschwitz guards since then have gone to trial in Germany. Two of the aged defendants, Reinhold Hanning and Oskar Groening, were convicted and have since died while the case against a third, Hubert Zafke, was thrown out in 2016 following complaints that the judges were biased.